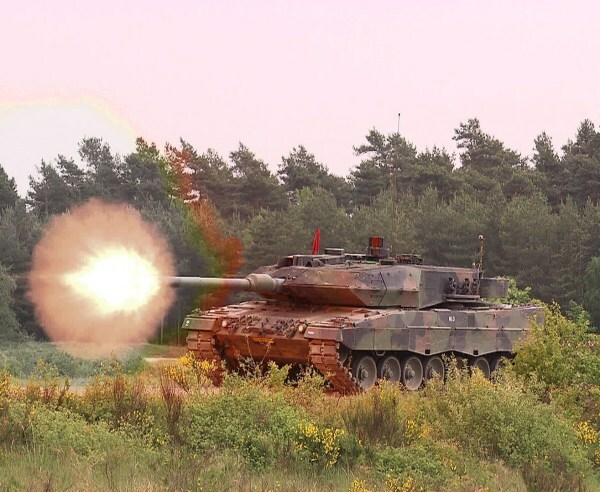 With four shots at Track 6 on the Bergen-Hohne gunnery range, Dutch Defence yesterday (May 18) said goodbye to the Leopard-2A6 main battle tank. The Netherlands’ history with the German-designed tank ends at the same shooting range where the first shots were fired by Dutch Leopard tanks when they entered service. The cavalry regiment’s senior commander, retired Major General Harm de Jonge, praised in his speech the deployment of the tank during the peacekeeping operation in the former Yugoslavia, and the deployment of cavalry personnel during the recent missions Iraq and Afghanistan. The fact that in these latter missions no tanks have been deployed mostly has to do with relations with the civilian population. But the Leopard 2A6 main battle tank remains valid as a very modern weapon system with unmatched firepower and armor. While aware that cuts are inevitable, the retirement of the tank corps received no sympathy among those present. The commander of the 11 Tank Battalion’s Bravo squadron, Captain Chiel Nieuwenhuis, observes that the Army’s current tactical doctrine can no longer be implemented. "Maneuver forms such as breaking defensive perimeters without the tank are not possible anymore." Now the final tanks will be sold off, and so bring an end to some 90 years of Dutch tank history. The first tank was introduced into the Dutch army shortly after the First World War, and at the height of the Cold War the Netherlands had about 1,000 battle tanks, which formed the backbone of the Dutch armed forces. After the end of the Cold War, the number of tanks was rapidly reduced to their final number of 60.